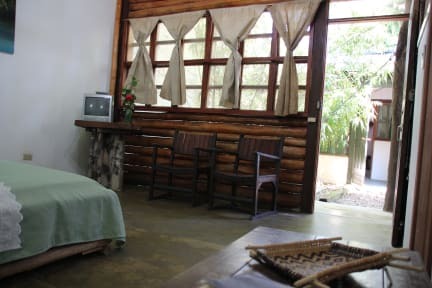 Hotel Malokamazonas has 9 exclusive, warm and cozy Malokas (bio climatic wooden rooms) each one diferent from another, with private bathroom, Optional cable TV and WiFi service, surrounded by the beauties of nature. Hotel Malokamazonas is located above the international avenue (principal avenue in Leticia), a few yards away from the Brasilian-Colombian frontier and the city of Tabatinga, in the area of the triple frontier of Colombia, Brasil and Peru. 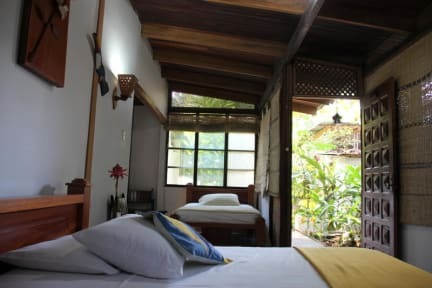 Each room its different from another, especial designed, with friendly architecture natural illumination and ventilation. The inside decoration is typical making a place according with the amazon rain forest.